Washington (CNN) - President Obama is scheduled to attend two fundraisers in New York on Thursday to benefit his re-election effort, two Democratic sources tell CNN. One is a reception for 15 people at a hotel. Following that he’ll attend a dinner for approximately 50 people hosted by film producer Harvey Weinstein and Vogue Editor Anna Wintour, according to the sources. 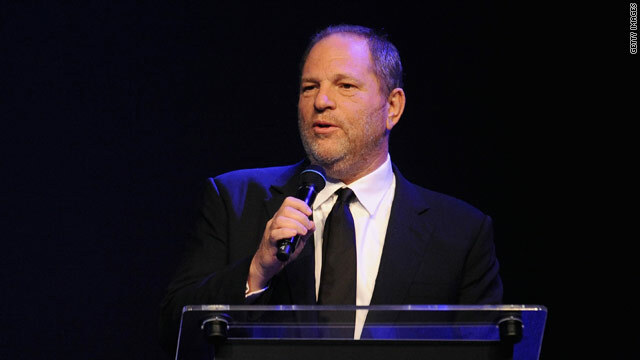 The dinner will be held at Weinstein’s apartment, one of the sources said. Tickets for both events are $35,800 with proceeds going to the Obama Victory Fund, whose proceeds are shared by the re-election campaign and the Democratic National Committee. Earlier this week the President attended two separate events in Washington. He attended a fundraiser with approximately 140 guests at a private residence with its proceeds also going to the Victory Fund. He also went to a reception that night which was a donor outreach event. CNN Senior Producer Kevin Bohn contributed to this story. SAVE AMERICA ... IMPEACH OBAMA NOW !!! Save America! Vote the lying Repubs/Tps out of office! General Electric Co.’s health care unit, the world’s biggest maker of medical imaging machines, is moving the headquarters of its 115-year-old X-ray business to Beijing. “A handful’’ of top managers will move to the Chinese capital and there won’t be any job cuts, said Anne LeGrand, general manager of X-ray for GE Healthcare. The headquarters will move from Wisconsin amid a broader plan to invest about $2 billion across China, including opening six “customer innovation’’ and development centers. The division should have “double-digit’’ growth rates as the country converts from film and analog to digital X-ray technology, LeGrand said. General Electric is planning to move its 115-year-old X-ray division from Waukesha, Wis., to Beijing. In addition to moving the headquarters, the company will invest $2 billion in China and train more than 65 engineers and create six research centers. This is the same GE that made $5.1 billion in the United States last year. but paid no taxes-the same company that employs more people overseas than it does in the united States. So let me get this straight. President Obama appointed GE Chairman Jeff Immelt to head his commission on job creation (job czar). Immelt is supposed to help create jobs. I guess the President forgot to tell him in which country he was supposed to be creating those jobs. If this doesn't show you the total lack of leadership of this President, I don't know what does. therefore let us be extremely patient with each other fauits and failures. Intelligence is defined sometimes when you understand the difference between a community and a nation. Someday Russell, I hope you can figure that out. The problem the Bush Administration with its disregard for the American economy and people created. Obama does nothing but fundraising. Here is our economy sinking into oblivion and he is out there fundraising for his re-election. Please people, open your eyes and see that Obama cares nothing about us or this country. He is only looking out for himself. Our country needs a leader and this man is not showing interest in trying to solve our problems. Obama will definitely get his walking papers in 2012 and then he can continue his fundraising for the democratic party or his commmunity organizing. This is crazy and I am astonished that the media is not calling him up on it. He wants to waste money for his campaign when we have a teriible economy and people are losing their jobs and homes. Obama has to go....time to get a real leader in as president. Wow! Another fundraiser. Too bad he isn't as interested in fundraising for our drowning nation. Oh well, everyone has their priorities. Glad he thinks more of himself than the people he is supposed to represent. Oops, I forgot. He is a politician after all. I agree, all he cares is to be reelected, He burning fuel at our expenses. I hope he be booted out on the WH. See, Obama is interrupting his vacation to "tax the rich" for his campaign. Nice to know he's got his priorities straight! And it's especially nice to see that the rich he is "taxing" are rich liberals who want to be taxed. Why would anyone in their right mind give money to that failure in the White House? It would be either the height of stupidity, or they know they'll get their payoff if O'dummy should win, which he won't, so it's just stupidity all around. Which is par for the course for the liberal Democrat mob. Sarah Palin 2012! Bank on it! I ask, what else is new. Fund raising is about all this clueless president knows how to do. Campaigning and raising money. This is what the man does. He wishes that there could be elections every year. I wonder how many Congressmen and Senators who are up for re-election will want him at their rallies. FYI – George W. Bush who was inaugurated in 2001 started campaigning for his second term in 2002. No worries! After his hefty schedule of fund-raisers, he's heading off for another vacation at Martha's Vineyard. Poor guy just works so hard leeching other people's money and ignoring the problems facing this nation, he could definitely use the break! I am so over this President. If the last one was bad, this one is worse by far. Campaigning, raising money and reading off a teleprompter is ALL this man is good at. American's are hurting, the economy is in shambles and he is going on another vacation.....unbelievable. 2012 cannot get here fast enough. I called to see when my Congressman, Thaddeus McCotter, would be holding town hall meetings. Wait for it.....he has none scheduled. Of course, he is in Iowa campaigning for President. So I have no problem with the President fundraising. We have a democracy and President Obama can not pass any laws without the Congress. Should he sit and wait on the steps on the Capital? Call them back? The Republicans are not going to help the President improve the economy. They want him to fail! We are just collateral damage. Interesting hypothesis, but wrong. He can do MUCH without Congress in session. Look at what he has done in 2 1/2 years without congressional approval!! (Drafted Healthcare bill, hired 39 Czars, invaded Libya). He can destroy the economy all on his own without Republican help!!!!!!!! Thanks T. Griffin you are so right. HR3590 Health Reform Act, 2010 passed Senate 60-39 a super majority. Well, come on guys .... he has to get some of that money before it is all gone! Glad to see he has priorties. This country is falling apart, rather then worry about that,he is holding fund rasiers with the Ultra Rich in New York. Glad to see he has the working person in mind. He could not care at all about the common working man, just his rich fat cat buddies. He is the worse President this countryy has ever had, In the 90's we had Regan, Cash and Hope. Now we have OBama, no Cash, no Hope. Our country is in the process of IMPLODING, he's clammering for Congress to come back to work, and he's off bilking dollars from and making deals with BIG MONEY Democrats. I thought the problem with the nation was WEALTHY Republicans? Isn't that the Liberal storyline. I'm sick of this s_it. He goes on vacation Aug 18th for two weeks. Maybe the DOW will keep plunging and he can achieve his goal of the anialation of Democracy and implementation of PURE SOCIALISM while he's gone!!!!!!! DOW went back up today up/down, down/up. I haven't heard the President clamoring for congress to come back. I've heard a lot of talking heads clamoring about it, but the President today urged Americans to use the current Congressional break as an opportunity to talk to their Representatives and tell them to take the necessary steps to grow our economy. Oh, please. This is what presidents do for goodness sake. Go put the blame on missy Palin and her SarahPac. She raises phony money for her personal needs, takes her bus tour with Sarah Pac monies.. Does it bother anyone that weeper Boehner is out playing golf on his vacation?. Oh, and BTW, he , Boehner, is going to many, many political campaign fund raisers. Does that bother anyone here? The Republicans are to blame for all this mess and Obama gets the blame! Unbelievable. $35,000. for tickets to this, and no one thinks that they will not get somthing in return for their money. Come on people, I hear a lot about the Republicans and their Corp freinds, but its ok for the President, somthing is wrong!!!!! Absolutely LOVE Harvey Weinstein movies! You would think that supposedly comapssionate people like Weinstein and Wintour would want this money to go to the poor, or unemployed, or orphaned, or AIDS research, or cancer research. But no, they would rather raise the money for politics and then they will rail against any money going for Republicans to do the same thing. By the way, I hear that Obama thinks he needs $1Billion to get re-elected even though he has the bully pulpit. If he is so effective as most Dems think, why would he need so much money to convince people he's doing a good job? Reminds me I need to donate again. George W. Bush stopped and did not continue the program that brought down Osama bin Laden he actually scrubbed the program as a waste...and as too hard.....remember the whole point of going into Afghanistan was to get Osama bin Laden...isn't that what Bush told the American people? "FLASHBACK: Bush On Bin Laden: ‘I Really Just Don’t Spend That Much Time On Him" for incompetence maybe you should remember that quote....again you fail at history. Yes, the Seals completed the mission, but the order for the mission came from the current Commander and Chief. Joe, you are full of it. Obama was asked when the time came to make that decision and he did, knowing full well that it could go wrong. He also knew that innocent people might be in the compound as well, and he still made that decision. Clinton flinched because children were in Tora Bora where OBL was at the time when they had their shot. Remeber Harry Truman had a Plaque on this desk that said "The Buck Stips Here"
Obama has one that says"Don't Blame Me Blame George Bush"
@joe you are a self-centered arrogant fool...and a racist NAZI and probably a card carrying member of the KKK. We were blaming President Bush before President Obama was elected. Unlike you, we know enough about history to know when and where the problem started. Unlike you we are not gullible, and drinking all that poison Koch Brother's tea nonsense is a waste...and no your odds of winning the lottery are not that great. I remember Harry Truman, he had to put up with the right-wing idiocy of the McCarthy Hearings...pretty much like President Obama is having to put up with all this racially motivated teapotty crap. Any ruse to keep from coming to the table and doing what is best for ALL the American people not just a wealthy few. If tax breaks created jobs...where are all the jobs George W. Bush bought? Another th ing–the republican house is on vacation also–not thinking that maybe they should stay and try to work through the problems...and other republicans are scheduled to have fund raisers–but when President Obama does it, it's fodder for insults. Americans are not willing to admit that we brought our problems on ourselves with our global sense of entitlement, using most of the world's resources for ourselves, our fat, obese, lazy lifestyles. It's time to pay the piper and instead of looking in the mirror, we look to others to blame. Total American denial–when will Americans learn that you reap what you sow. I wonder what all these idiots think the people in Iowa are doing? Exactly. Weeper Boehner is spending vacay playing golf with his high powered goons. That is more important than doing goodwill for the American people and the economy. Hey, Weeper Boehner, "Where are the jobs." Boehner has planned many fund raisers...including "crazy" Michele Bachmann. It is because he cares that he campaigns....you however are not being rational. Obama haters are ruining America. Their hatred for Obama....unAmericans. You are an idiot Joe! A beligerent racist one at that; and obviously you are filled with hate, envy, and biggotry! I really am surprised you were able to do 20 years in the Marine Corp and come out with an Honorable Discharge with your attitude! Did you, or was it a general? You're filled up off of Foxnews/Hannity/Limbaugh/GOP/Teaparty Conservative TEA too! Poor thing. My wish for you is 'Better Days'! @Joe; GULF WAR? Do you know the real reason the war was started in the GULF by REP BUSH 1 anyway? If so tell me. I pose the same question for the war started in IRAQ by REP Bush 2. Complaining of CLINTON and OBAMAS' handling of military funds; DEM Clinton didn't have a war under his belt! That's what REP Presidents do! REP REAGAN got all those US marines killed with his 'show of force' somewhere over there; can't remember the place. REP EISENHOWER initiated and sent in the first 'advisors' to Vietnam. From my recollection and research it just seems that Republican Presidents always have to have some kind of war under their belts to feel good. Democratic Presidents seem to be more interested in seeing to it that home, AMERICANS are being taken care of. The employed, unemployed, underemployed, retired/medicare, disabled, seniors on welfare/medicaid. Most of these are not lazy! DEMS try to spend our taxpayer money with the people at home; not spending it all overseas babysitting, rebuilding and training. BTW, the South doesn't hold total claim on the membership of the KU KLUX KLAN, NAZI, (ARYANS) 'redneck' society, Jim Crows, Willie Lynchs, White 'T', and 'T P T'! The person of that mindset or mentality lives all over this nation; and has been taught to some people overseas. So that doesn't excuse you from the appearance of it! You talk just like one...'I put in my papers as soon as I seen Obama was comming on board', right? Your biggoted choice, but don't all Presidents take advice from their commanders? It is time to STOP dissing our president! You Obama haters are unbelievable. Liz Carter in Georgia is spot on. How about a little respect for our president. After all he is working for YOU! You should be glad that Obama is our president. God forbid if a Republican is elected. Hello Mr. President. My umpteenth check is in the mail. Your followers are at your back. @InObamaWeTrust; Thanks for your support and understanding of my message. I agree with your analogy of what's going on too, 100%. However, I must say I trust GOD to continue save, keep and use Obama to battle on towards the BEST for America, even against the obstructive, sabatoging of his enemies. These people hate OBAMA, period; waaay more than they love AMERICA! I believe God put him there. So they're fighting a war that they'll NEVER win! InGodWeTrust, therefore we have authority to say InObamaWeTrust! After looking into a few of the blog posts on your website, I honestly appreciate your way of writing a blog. I saved as a favorite it to my bookmark webpage list and will be checking back in the near future. Please visit my web site too and let me know your opinion.